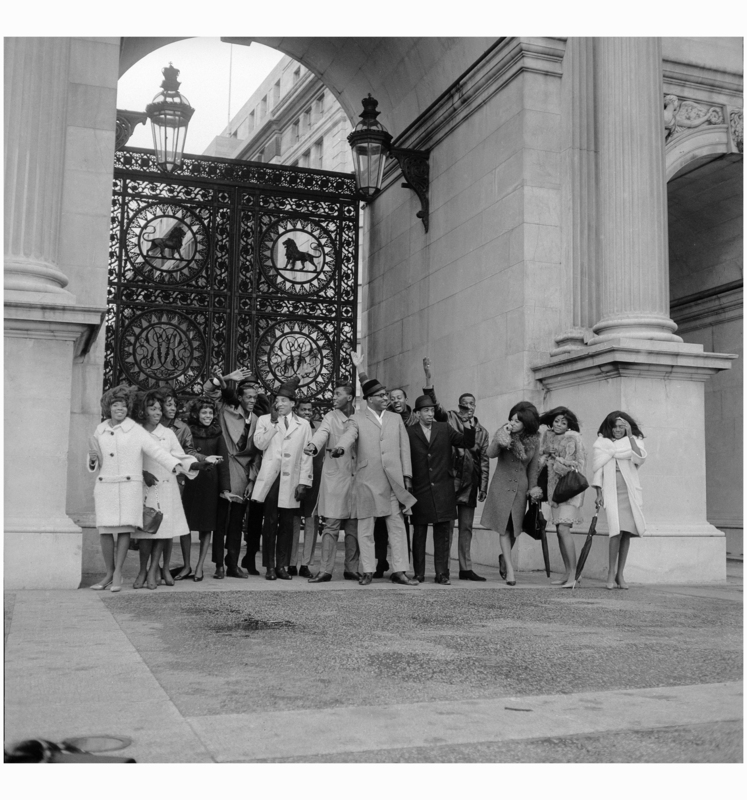 The Miracles, The Temptations, Martha & The Vandellas and The Supremes in London, March 1965.They are pictured at Marble Arch a few days before the start of the Tamla-Motown concert tour of the UK. The Temptations are not on the tour, but in town to promote their latest single, It’s Growing. From left are Rosalind Ashford, Betty Kelley, Martha Reeves, Claudette Robinson, Eddie Kendricks, David Ruffin (hidden), Smokey Robinson, Pete Moore, Otis Williams, Bobby Rogers, Melvin Franklin, Ronnie White, Paul Williams, Florence Ballard, Diana Ross and Mary Wilson. Stevie Wonder and the Earl Van Dyke Six are on the tour, but not shown here.